I have left this a few months since early in May to post as I wanted to reflect back on the warmth and exotic experience during the wet autumn months back in the UK. 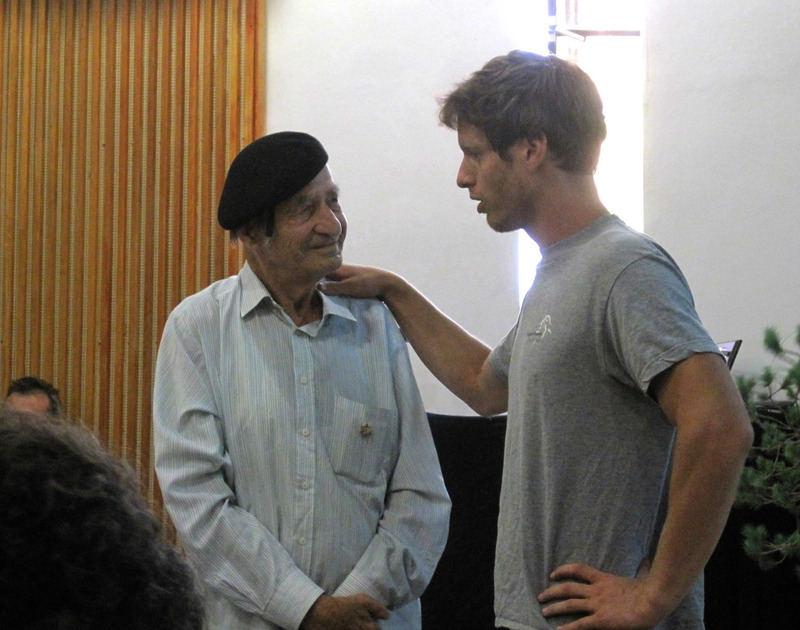 If you want to read more of my time in Israel take a look here. My good friend Ofer Grunwald invited Enrico Savini and me to work with him to make the event more than an exhibition. Jerusalem Botanical Gardens is in the middle of the ‘New City’ in a Valley surrounded by offices and apartments. It is an oasis of green and calm in what is a rather drab coloured conurbation. By European standards the show was quite compact, consisting of 13 native trees and the standard was very good. Israel is an ‘emerging’ nation of Bonsai enthusiasts and if this show is where they have come to in such a short time then the future looks bright. Ofer worked hard to include all ‘factions’ in the Israeli bonsai community and from my perspective he did a great job. One of the ‘highlights’ at the start of the conference was a very vocal bonsai protester An ‘apparently’ well known Israeli octogenarian conservationist stood up and voiced his displeasure at ‘interfering’ with nature. Ofer let him have his say, then the proceeding commenced with Enrico and Tommy styling a Pine, after half an hour and whilst they worked I presented a few items with the help of the digital projector. The remaining time was filled with an open forum whilst the guys continued and finished the tree. The bonsai community of Israel is very fortunate to have such a young and enthusiastic organiser as Ofer and the support of the premier horticultural centre of the nation offering such solid support for the art, would it be such in our countries things would be very different. 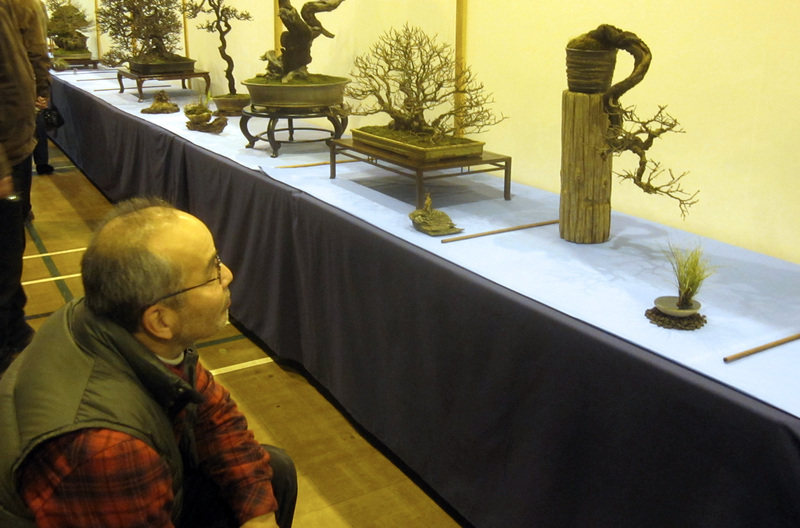 The Swindon Winter Image Bonsai Show 2012 has fast become a high point in the UK bonsai calendar. 2012 will go down as a milestone in UK bonsai excellence as the quality of display, excellence of trees and enthusiasm of the host club was truly superb. AND it was busy, I do not know the actually numbers through the door but there were a LOT of people at the show… it was also a great meet up of may of ‘the guys’ (and girls) from the UK Bonsai Scene… definitely THE place to be. I had a speaking slot where I described the evolution of my Large Escallonia, John Armitage did a Shohin critique workshop and Ritta Cooper waxed lyrical about creating Kusamono and Shitakusa. Over 100 trees were display in all their winter glory and 11 prizes handed out at the end of the event. Last year I visited Mirek for the second year in a row, Mirek is a good friend of Pavel Slovak’s in the Czech Republic. 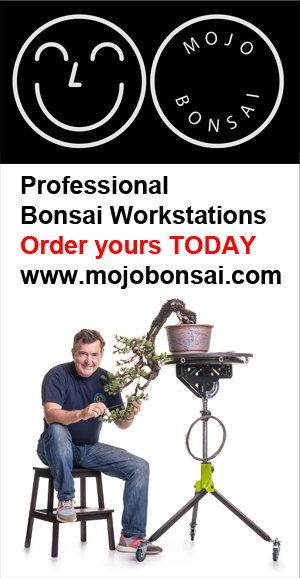 Mirek has a fine collection of bonsai and yamadori. Here is his garden in the rain, 20 minutes later the sun came out and the trees were well watered… the sun shines on the righteous.